As someone with 20+ years in the education field, one of the things I do when I learn a new subject was to take a ton of notes on ANY question that came across my mind as I consumed content as a student. This week, I got into a subject that I had not dabbled in the early 1990's. 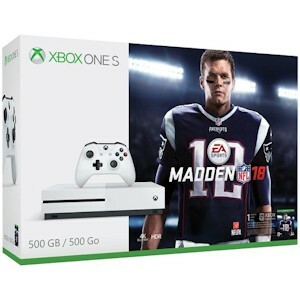 To go from playing techmo bowl on the first Nintendo to playing Madden 2018 on an Xbox One is a bit of a culture shock. This is a good thing. I'm WAAAY out of my comfort zone with a huge learning curve in front of me. So here are some tips on overcoming and managing learning curves. 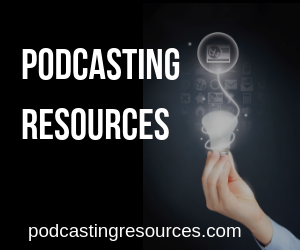 It's not enough to join the School of Podcasting, your goal is to launch your podcast. I'm going to through in here that you need to Define Your Why. For example, if you're doing a solo show with no guests. There is no need to read up on creating a mix minus. Some might even say you don't even need to read up on a mixer. When you are first starting out, keep things simple. The problem is you don't know what you don't know. This leads me to point number two. 2. Talk to someone who is doing what you are doing. As you don't know what you don't know, you need to find someone who can help you define the area you need to investigate and those you don't. There is one statement that I have seen from my chair and I believe to be very true. You will pay for your podcast in one of two currencies. You will pay with time searching for your answers, or you will pay with money paying someone to help you get to where you want to go. Also when you do find a good resource, use it. I've worked in different tech support departments, and I know we are in a hurry to get going but ask anyone and they will tell you that most companies put a tremendous amount of effort into the “on-boarding” process (getting your customer setup). This typically includes some sort of welcome email, and in many cases a video. You need to read more than the email title, and if you are given resources, use them. As the old saying goes, “How do you eat an elephant?” The answer is one bit at a time. So once you understand where you want to go, you break your goal into smaller tasks. So you can take the goal of identifying your podcast and break it into the tasks of creating a list of five potential names, check domain availability, and perform a Google search to see if the name is in use. Timelines can help you see the plan, and give you an idea of when your goal will be met. However, I've seen people make really bad decisions because they are way behind based on their self-made deadline. Set a specific time when you will work on your goal. When you are working on your podcast, turn off distractions (Facebook, Notifications on the Phone, YouTube).